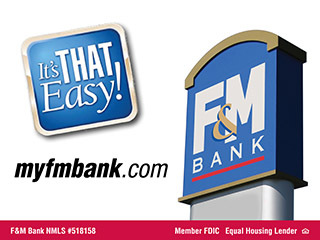 Clarksville, TN – November isn’t a typical month at Austin Peay State University (APSU). As the state’s leader in higher education for military-affiliated students, the institution traditionally recognizes the entire month, with its connection to Veterans Day, as an extended salute to all veterans and active-duty military personnel. 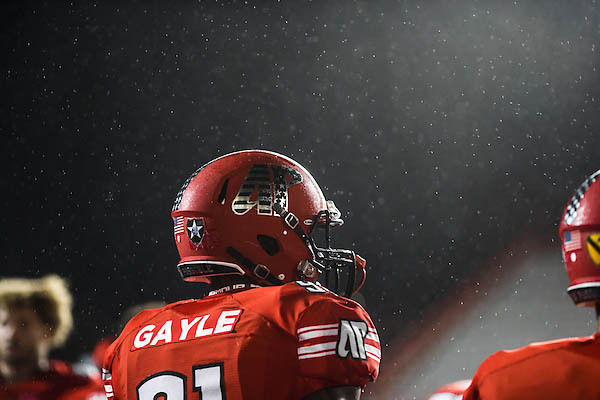 In previous years, the Austin Peay State University football team has worn special uniforms to honor the military. This November, the University will continue this tradition by spotlighting student veterans on billboards around Clarksville and by hosting a special Military Appreciation football game at 4:00pm on Saturday, November 17th, 2018 at Austin Peay’s Fortera Stadium. One thousand tickets for free admission to the game against Murray State are available to military service members, veterans, and family members who are ID card holders, thanks to a generous gift by retired Chief Warrant Officer 4 Joe Maynard and his wife, Andrea. A pregame exhibit will feature two Humvees, and a flyover will occur after the national anthem. 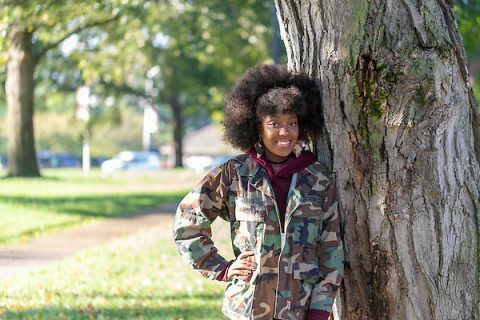 U.S. Army veteran Erica Harris calls the Austin Peay State University Military Student Center her comfort zone. Retired Lt. Gen. Ronald Bailey and retired Brig. Gen. Scott E. Brower joined APSU’s senior leadership team. 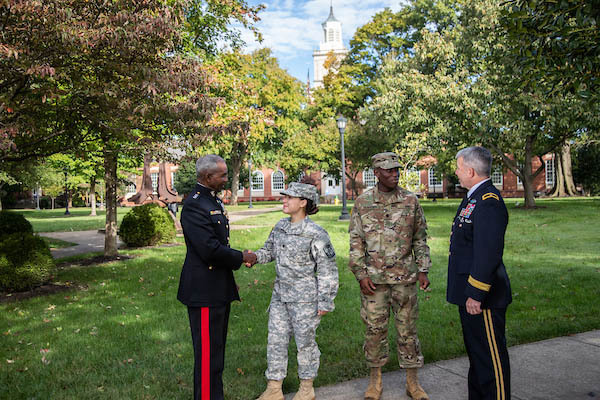 Austin Peay State University is the state’s largest provider of higher education to military-affiliated students, with at least 2,329 enrolled students having a military connection in the fall of 2017. In September, the University’s Board of Trustees unanimously voted to create a Military Family Resource Center, which will have the potential to house several of the University’s existing academic and support programs in one location, including the Military Student Center, Veterans Upward Bound, the U.S. Department of Veteran Affairs’ VetSuccess on Campus office, and enrollment management support offices.